Microsoft starts using AI for enterprise security, new zero-day vulnerability affects all Windows systems, and more. 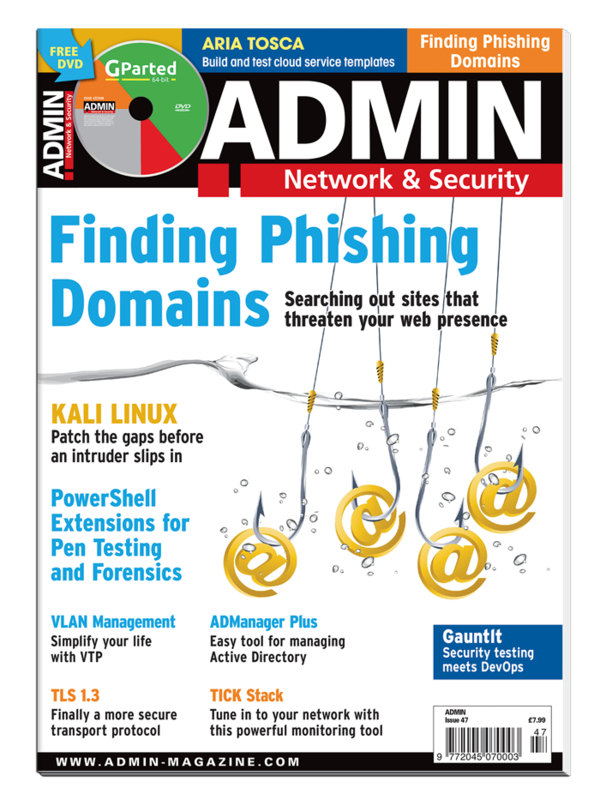 A small script can help you locate phishing domains and determine whether they imitate your websites. Cisco's protocol for Virtual LAN management can make a network administrator's life easier. Open Source Summit North America 2018 in Vancouver, Canada, brought together a diverse set of open source communities and projects under the same roof. Eliminate incompatibilities between cloud solutions and increase interoperability. Modern-day DevOps techniques automate everyday tasks. The indispensable Lmod HPC tool lets you control your build and execution environment. HPC systems require shared filesystems to function effectively. Two really good choices for both small and large systems are NFS and SSHFS. TICK Stack supplies all the components you need for monitoring, alerting, and trending in large landscapes. TLS 1.3, the successor to TLS 1.2, has earned the approval of the IETF. Some major changes are on the way. Okta Cloud Connect lets you retain control of your users' data and their access to applications, while giving them the tools they want. This combo can build and deploy your apps automatically, so you can stay focused on writing code. Set up Kubernetes in a local environment, so you can practice before rolling it out in a network or cloud setting. A sophisticated DevOps tool that can test the security of your continuous integration/ continuous delivery pipeline. Search for vulnerabilities in your networks with the help of PowerShell add-on modules that provide security and attack functions for penetration tests and forensic analyses. We kick the tires of a Samsung 500GB SSD that promises transfer rates of 540MBps. Just-in-time administration provides the ways and means of enforcing validity periods for extended privileges. It could take 4-8 weeks depending on your delivery region.